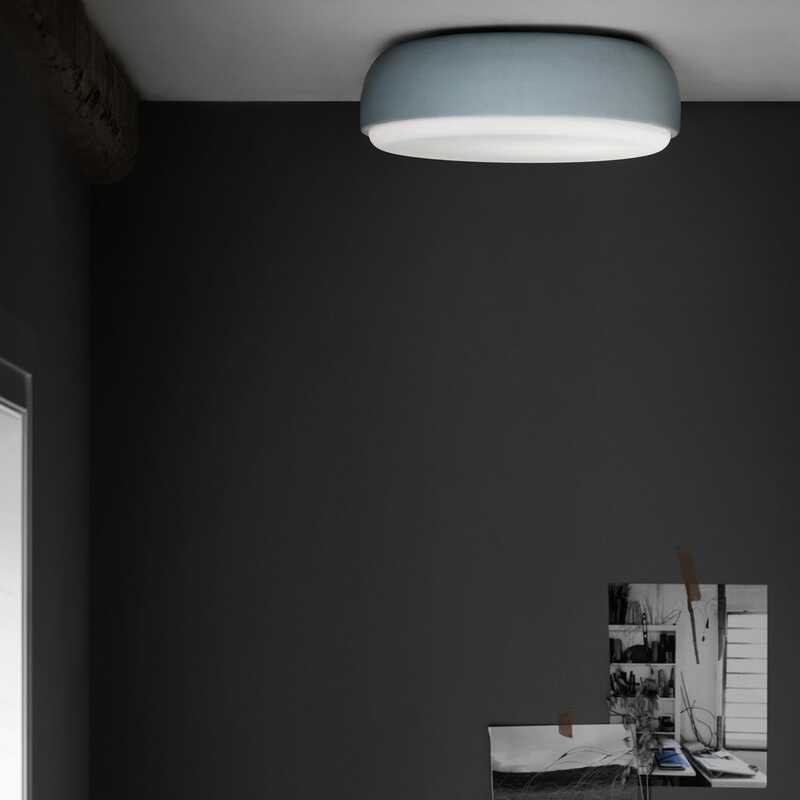 AS SHOWN The Over Me light in dusty blue can be used a ceiling light. Thanks to its minimalist appearance and ability to attach to a variety of surfaces, Over Me is a natural complement to contemporary interiors. 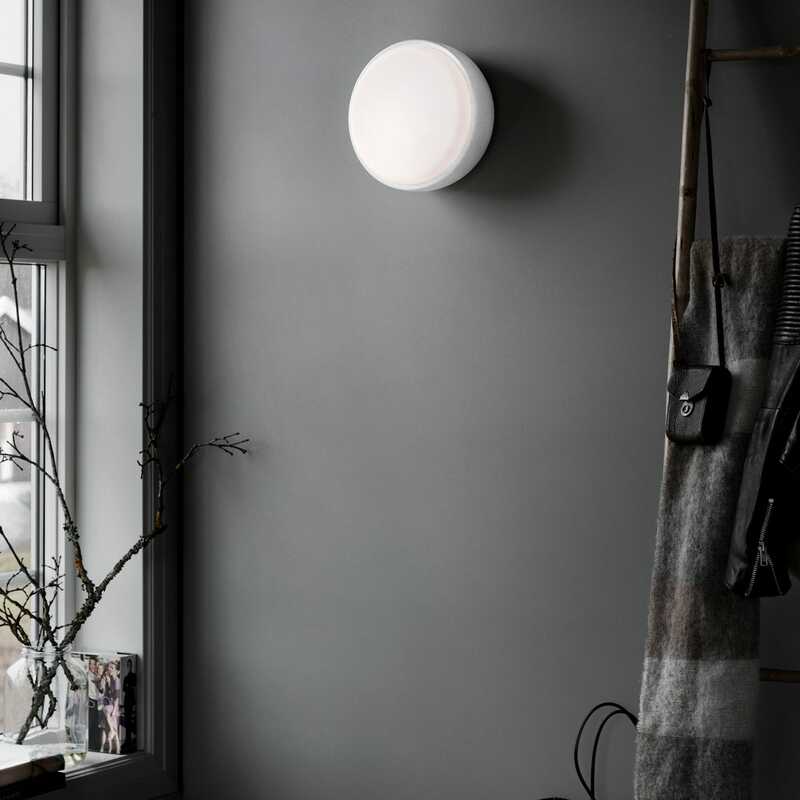 The light is subtle enough to blend in with the ceiling, yet striking enough to create a focal point when installed on a wall. 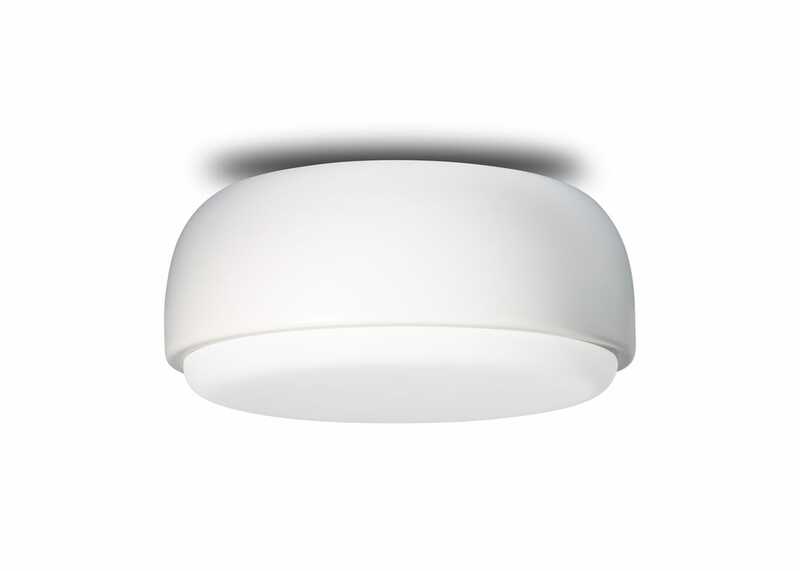 Multipurpose design - suble enough to blend in with ceiling yet striking enough to create a focal point when installed on a wall. Suitable for almost any room and certified for use in wet areas. 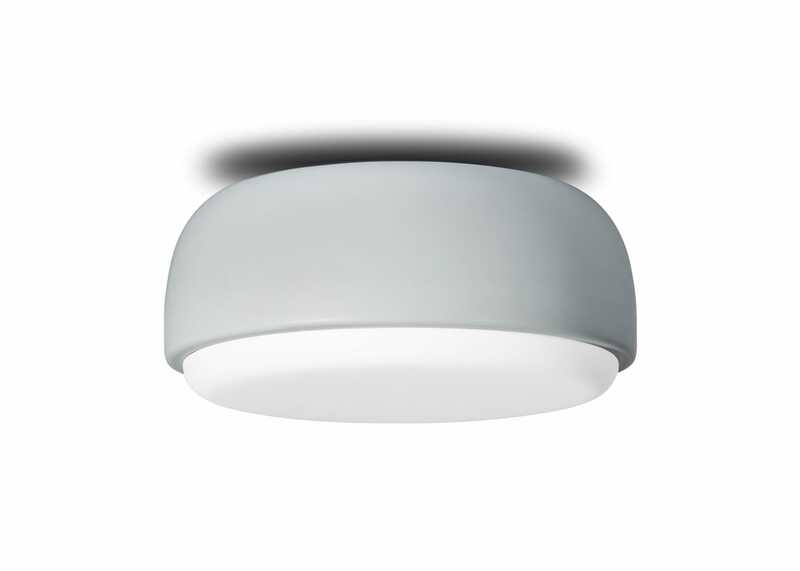 Slim profile makes this light an excelent choice for areas where conventional light fixtures won’t fit. 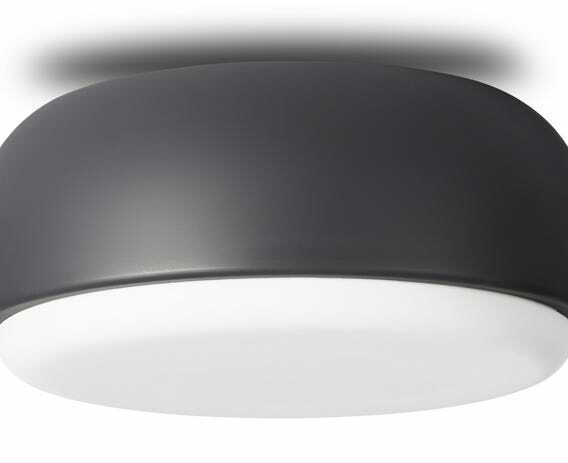 The flush design of the Over Me makes this an ideal wall or ceiling light. 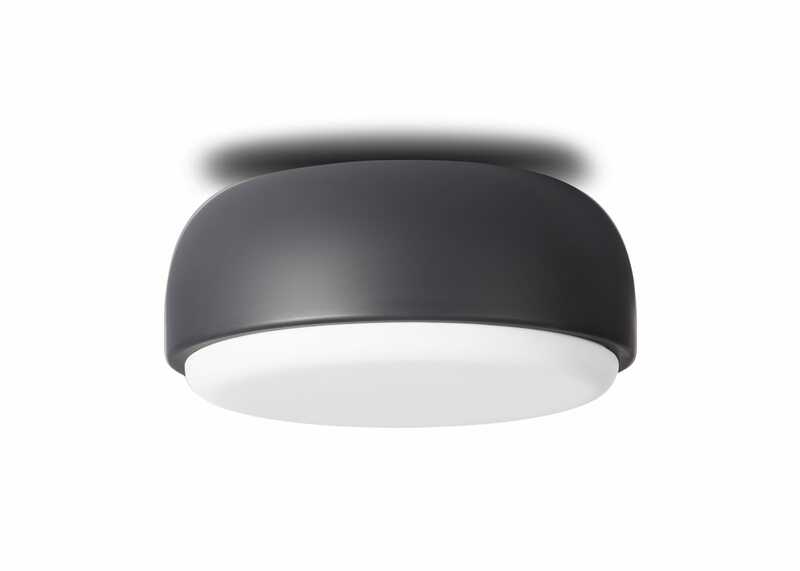 Material: Metal base / glass shade. Available in white, dusty blue, dark grey.